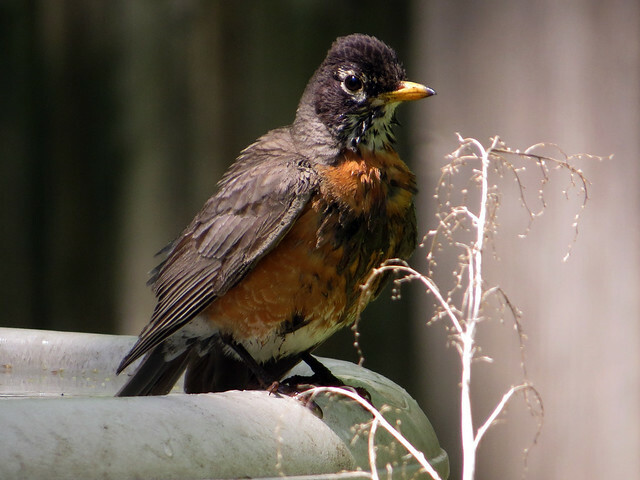 In May I paid a short visit to my parents and spent some time relaxing in their suburban Chicagoland back yard, observing their winged visitors. 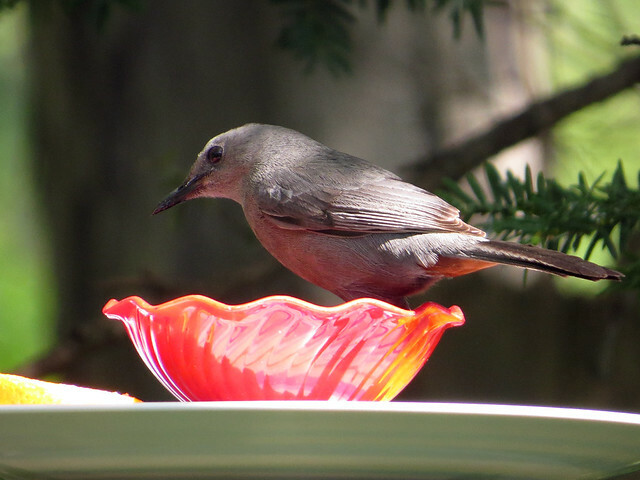 I was delighted to see a Gray Catbird visiting the grape jelly feeders. I think this was my first sighting of this species in their yard. 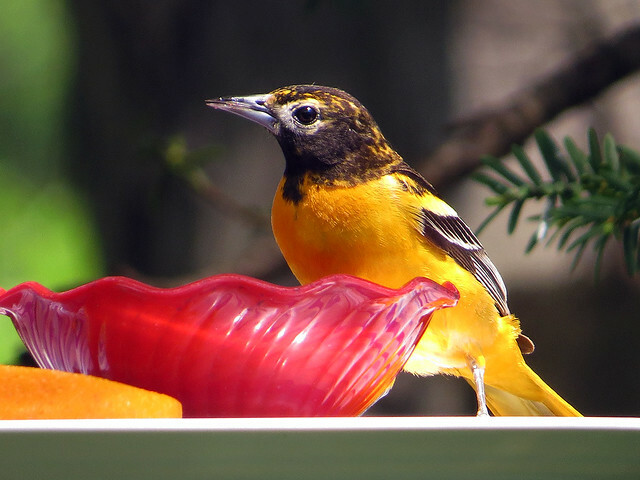 The number of orioles visiting the grape jelly and oranges on offer was ridiculous. 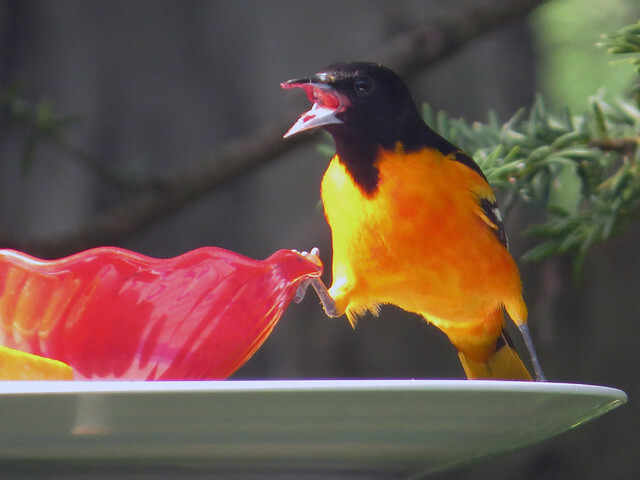 An embarrassment of orioles. 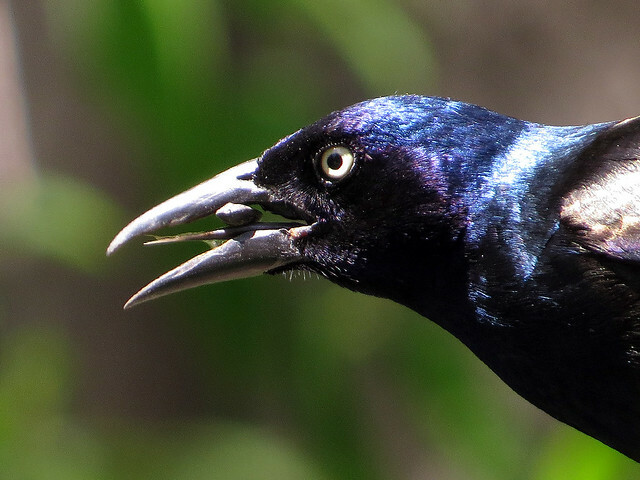 Also, really good plumage study opportunities. 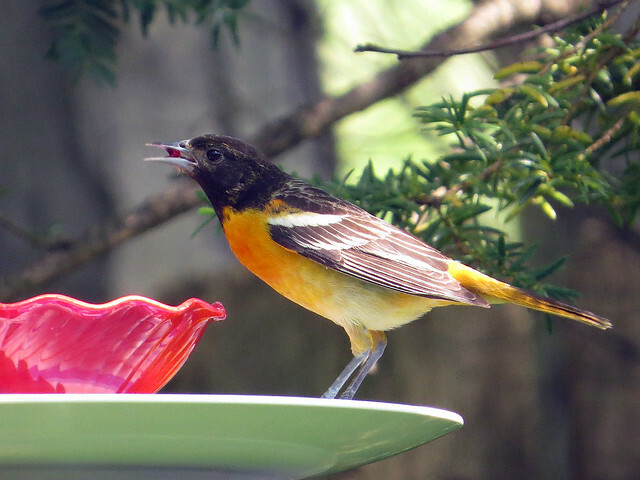 My dad made the grape jelly feeders from rejected Sweet Tomatoes ice cream bowls. 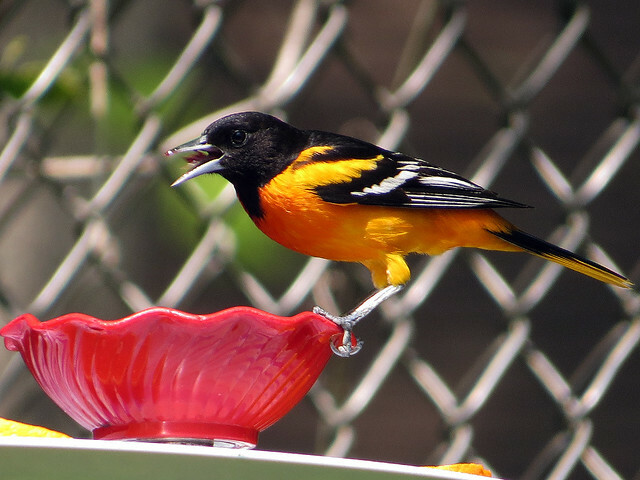 He noted that some of the orioles would perch on the bowl, while others would stand next to it and stretch their neck to reach the jelly. 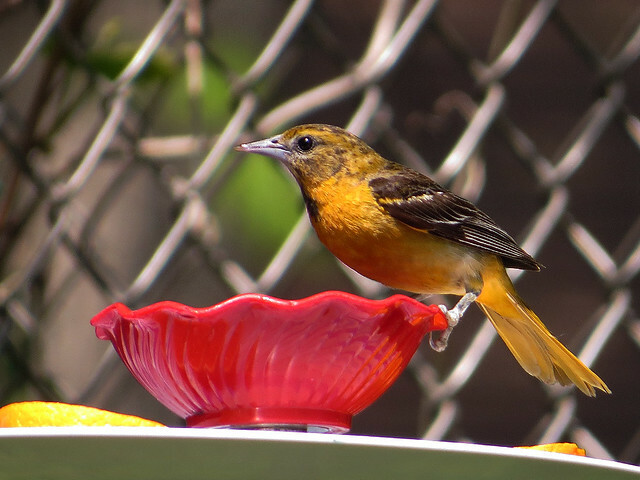 Maybe the bird’s position depended on the volume of jelly in the bowl? This individual had a half-half wide stance. 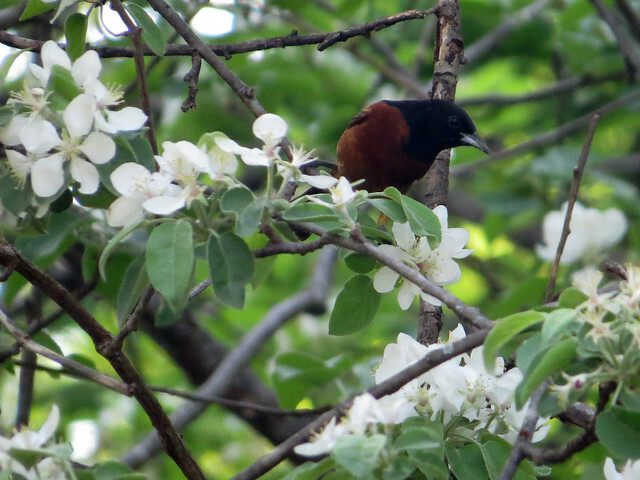 One afternoon I watched an Orchard Oriole poking its head into probably hundreds of blossoms on a very large apple tree. 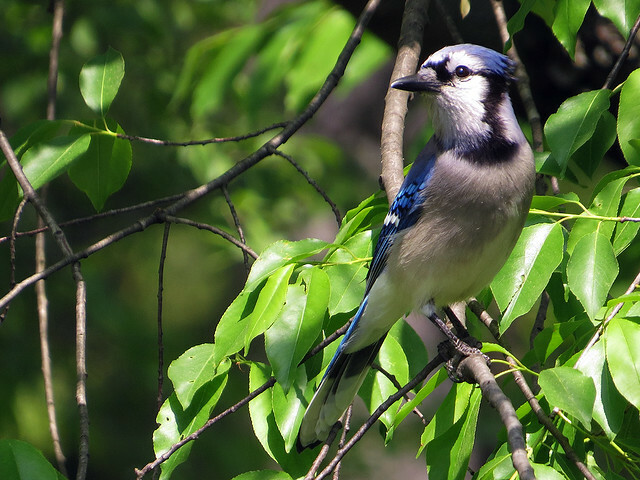 I observed the bird on and off over the course of about six hours. 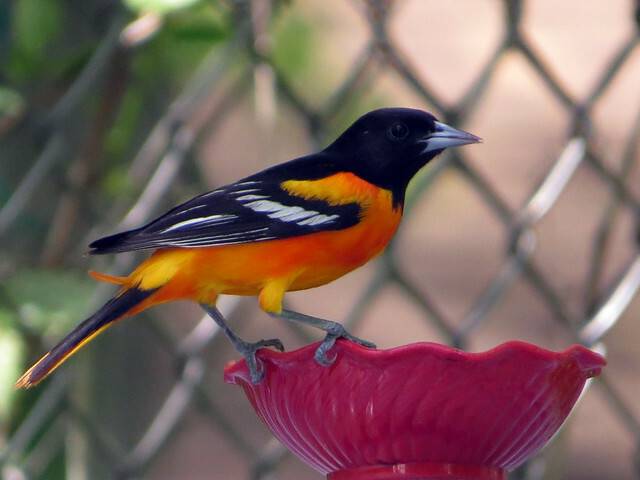 That’s one busy oriole. He left no blossom left unsucked! 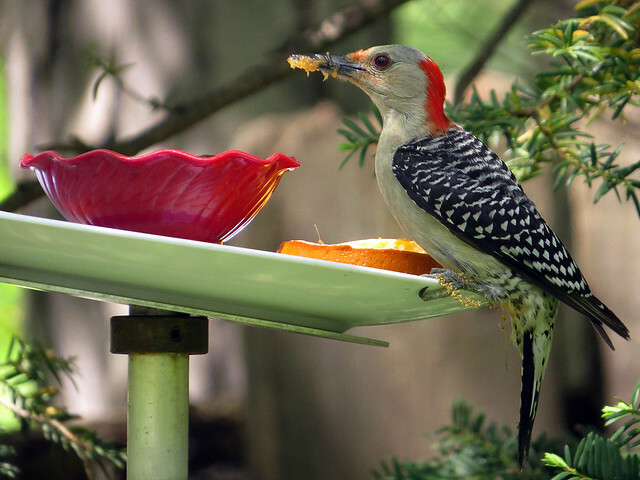 A while back Arthur and I gave my dad a peek-a-boo birdhouse that has a plexiglass-protected hinged side for nest vieiwing. The idea is that observers can lift open up the wooden outside panel and quickly view the inside with minimal disturbance to the birds. My dad isn’t interested in disturbing the birds at all. I appreciate that, but I just couldn’t resist taking a peek during my visit. I looked once early on my week-long visit, and once more just before I left. Both times I found a Black-capped Chickadee sitting on eggs. 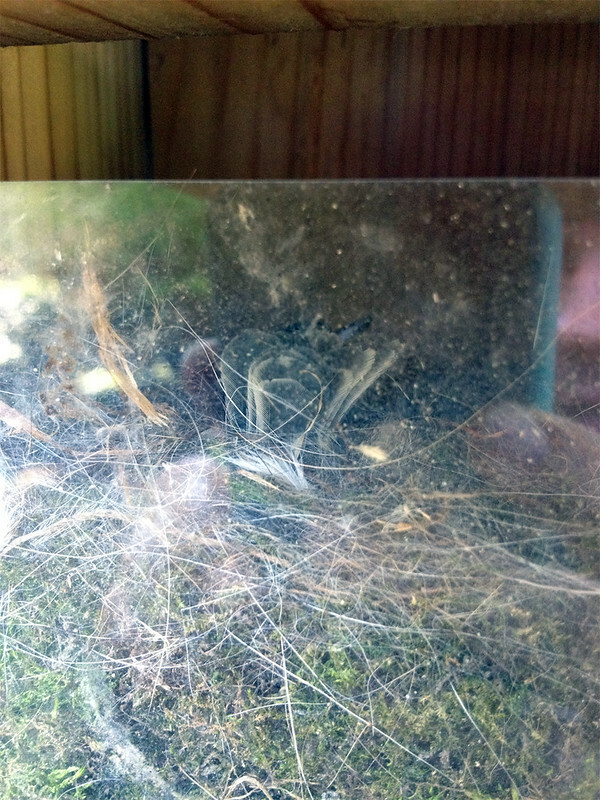 In this very quickly-snapped photo you can see the tail feathers of the incubating adult pressed against the plexiglass wall. 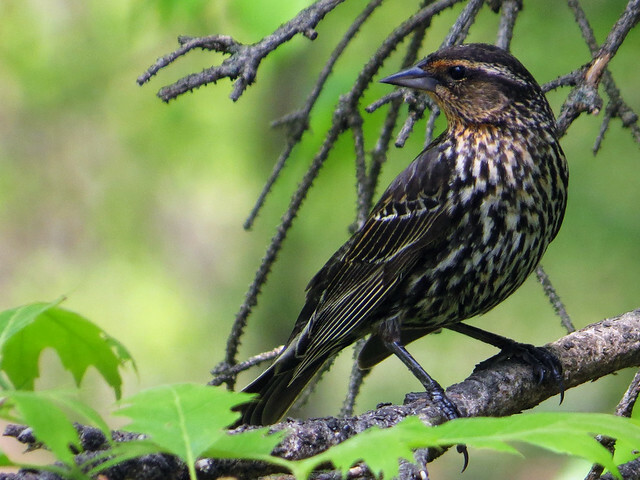 To the right you can see her beak as she turns her head to the side. Look at the soft moss bed that makes up the base of the nest. 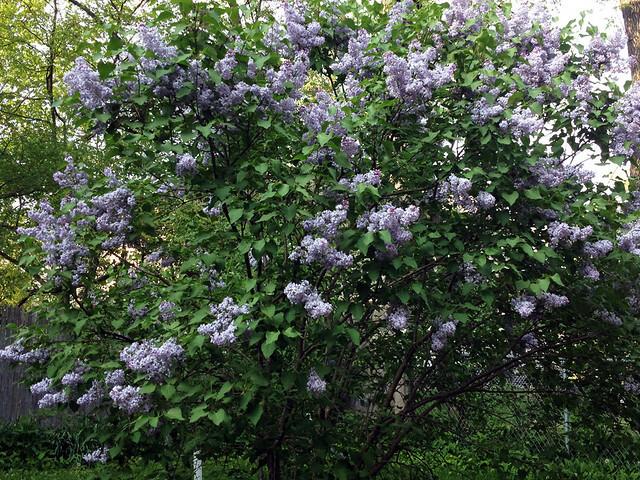 During all of this bird-watching I had to contend with the overpowering odor emanating from a blooming lilac bush. It was tough, let me tell you. Soon Arthur and I will head north to visit my parents once more. 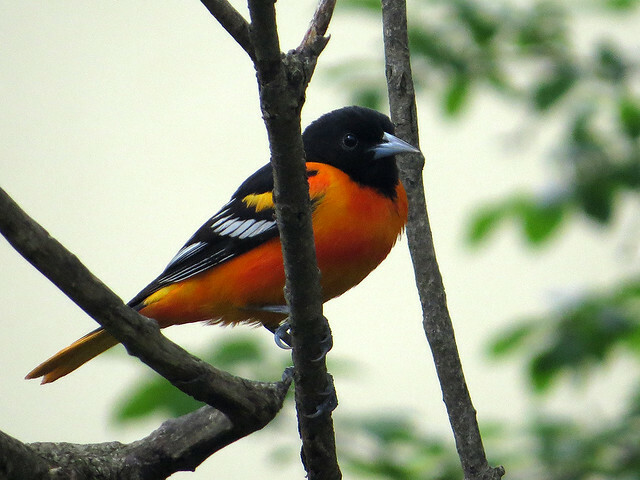 I think I’ll see many of the same birds this summer as I saw during late spring, but believe it or not, migration is underway (it kind of always is, actually).